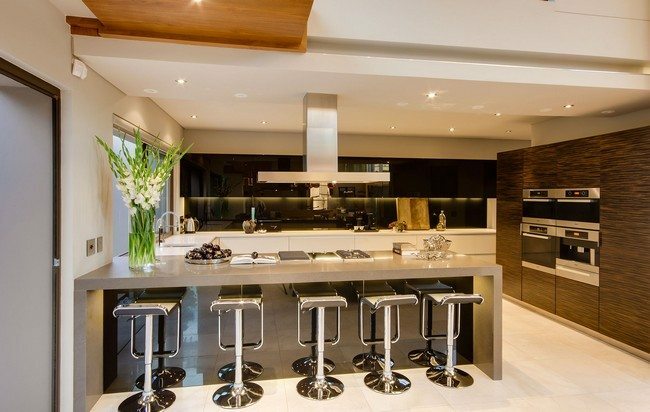 Here, a wooden countertop is used, but the shade of the wood on the lower level is lighter than that on the upper level, adding a dramatic touch. 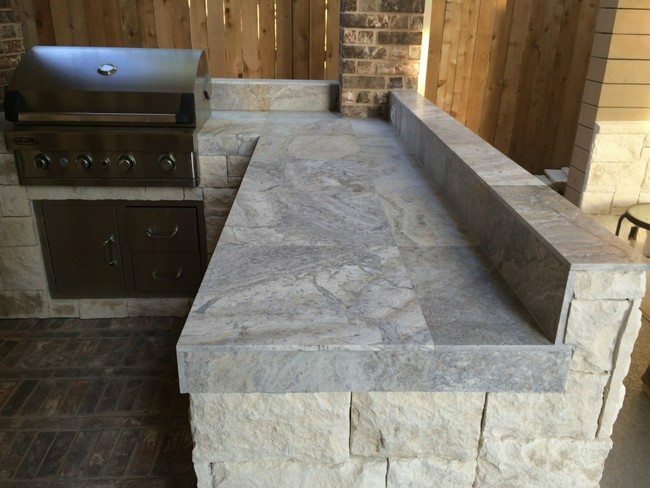 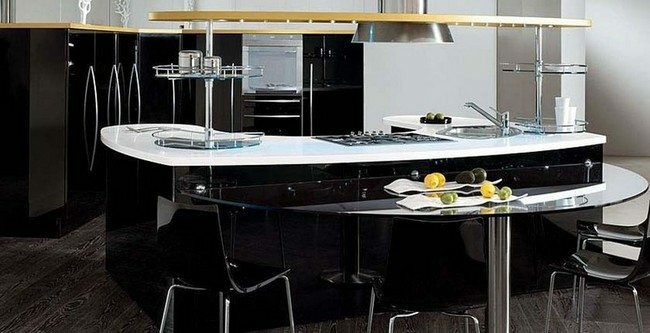 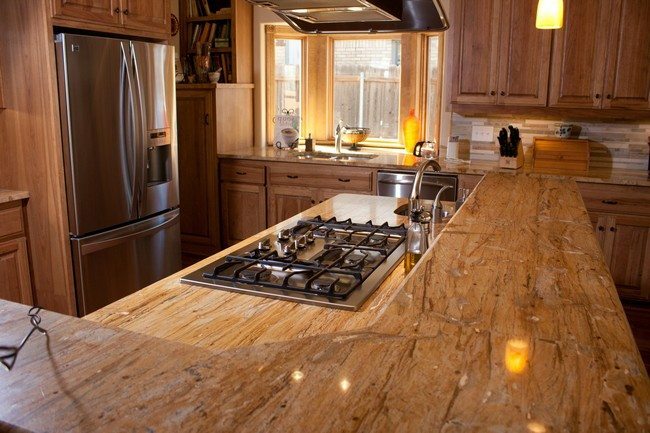 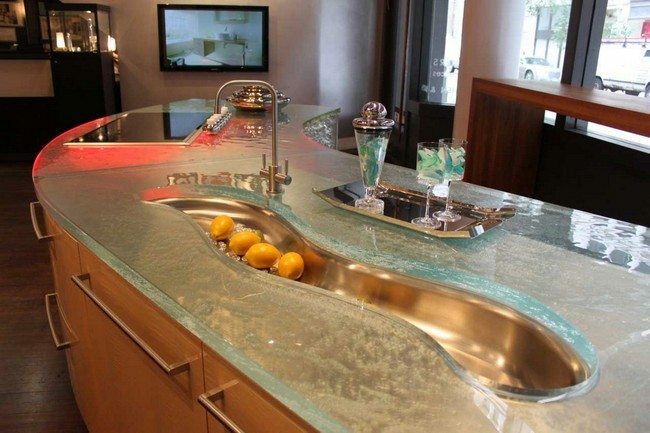 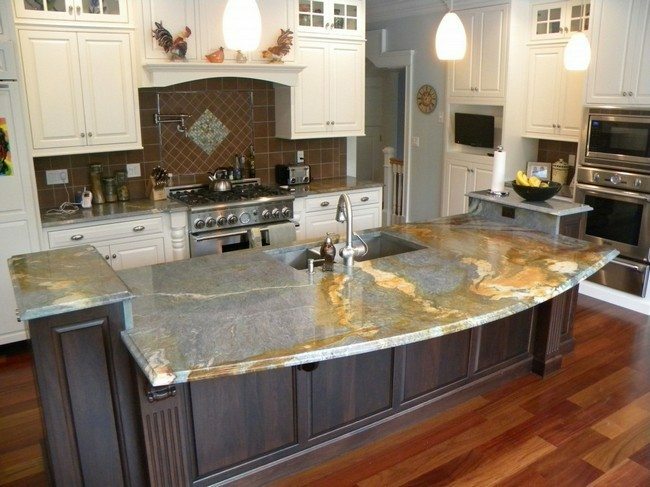 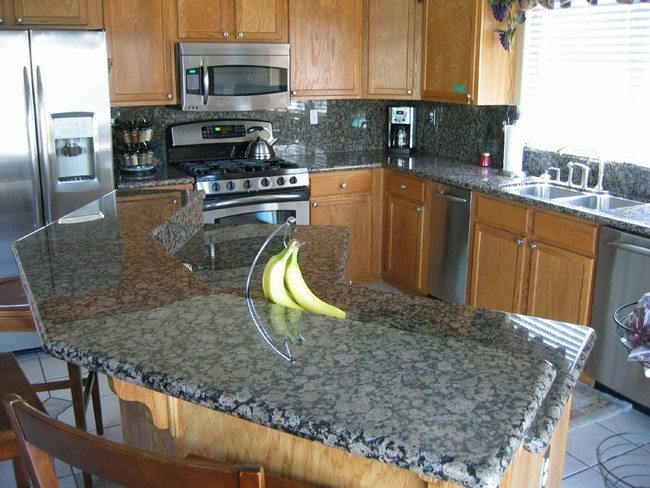 This countertop comes with a split design; the lower level is made from stone while the upper level is made from glass. 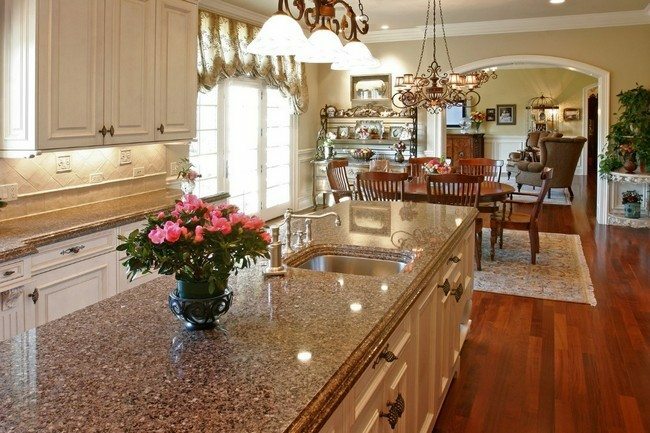 The glass countertop adds a touch of elegance and sophistication to this kitchen. 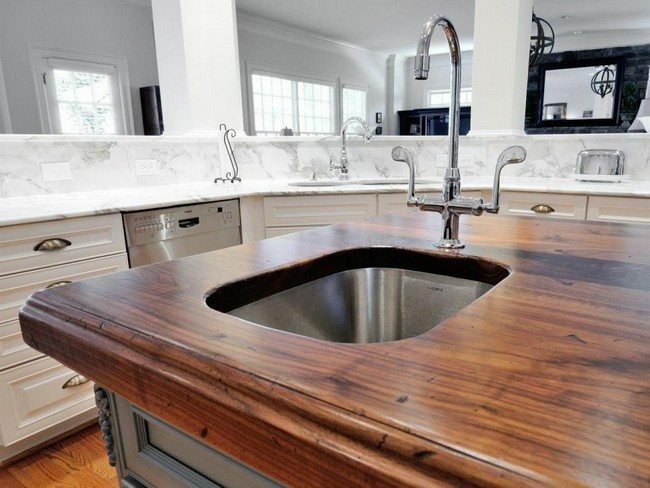 Don’t throw away that old piece of wood yet. 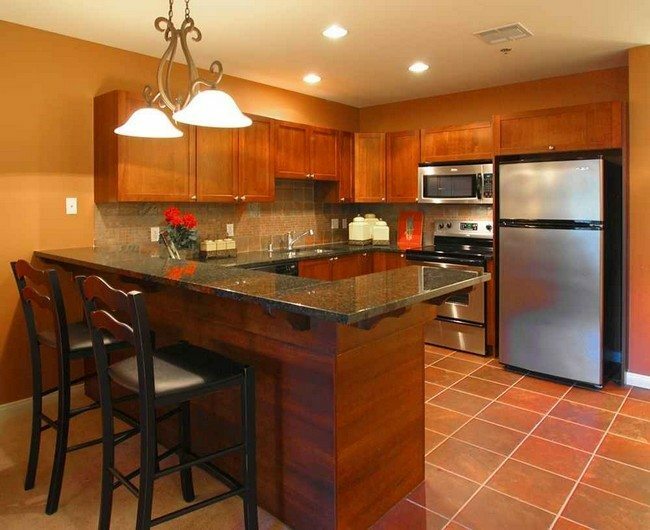 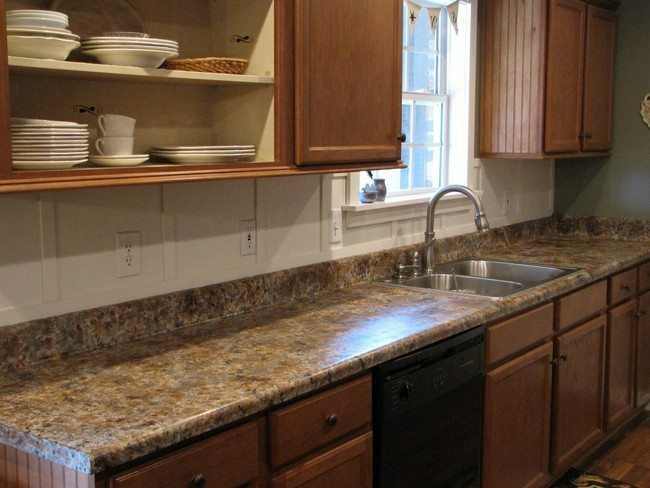 As you can see in this kitchen, an old piece of wood has been reused to create a countertop. 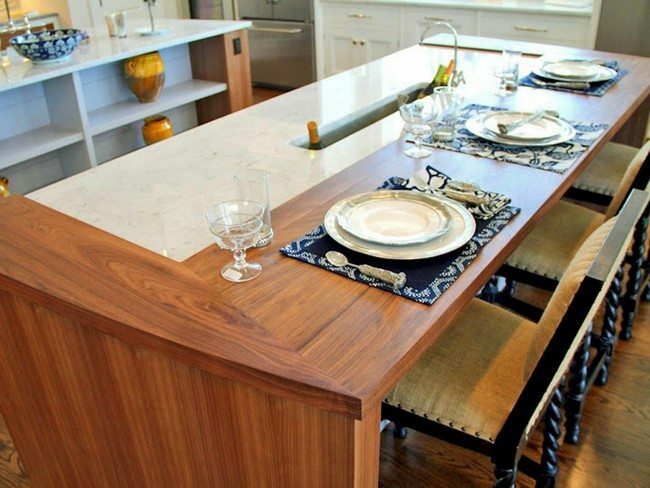 This countertop blends with the split level units perfectly. 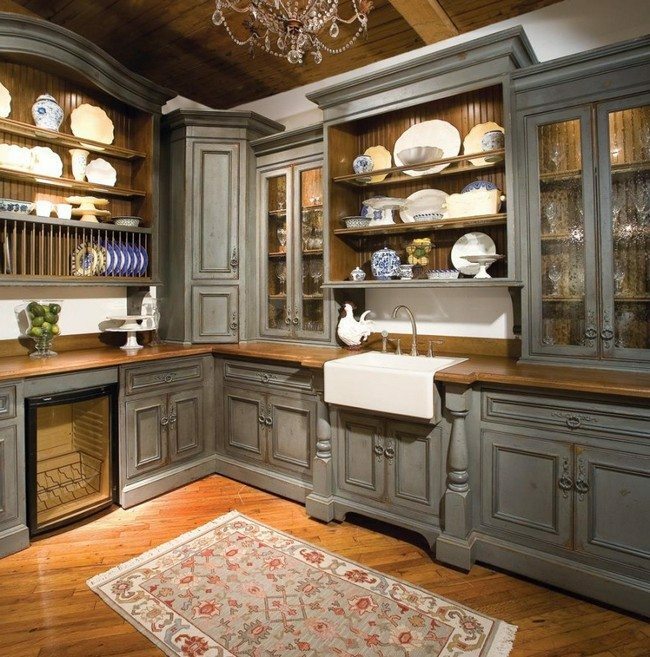 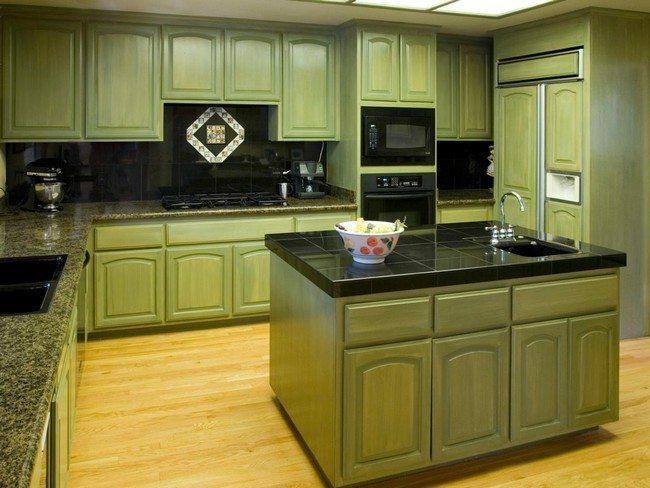 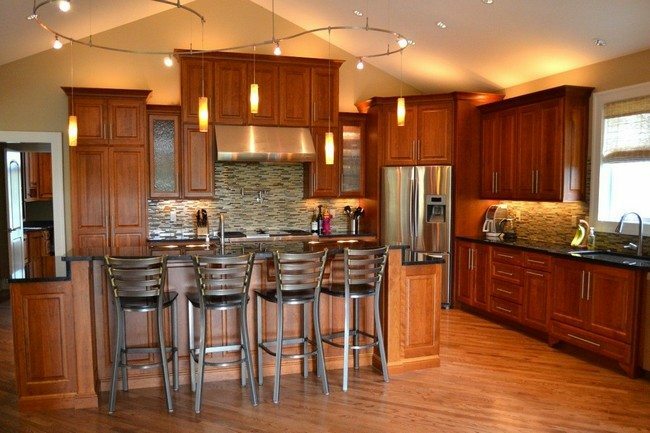 Also, the light brown color draws the eye to the underneath cabinets with frosted glass doors. 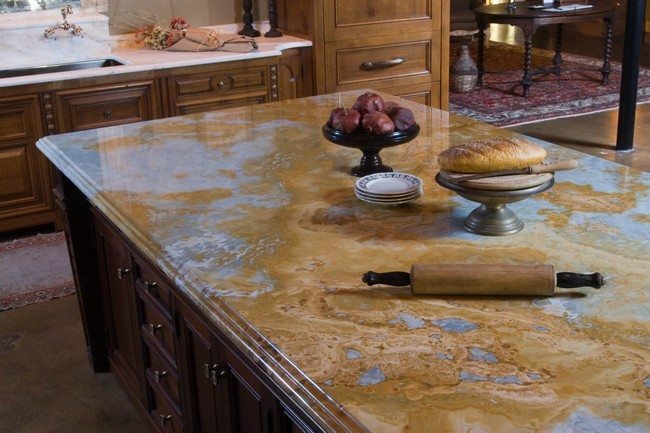 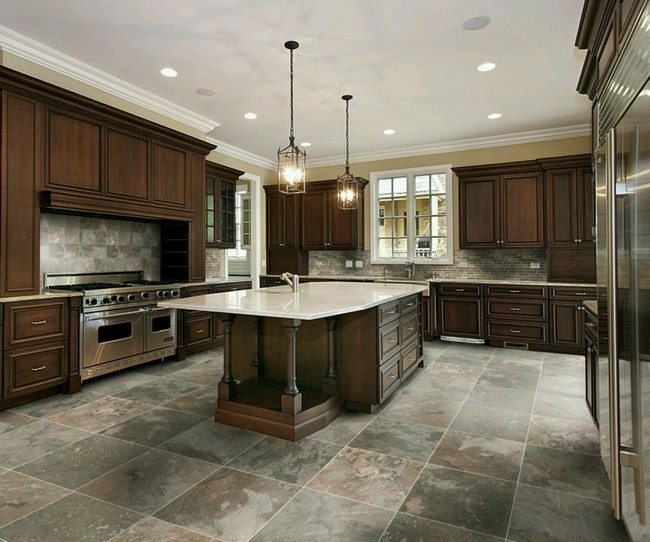 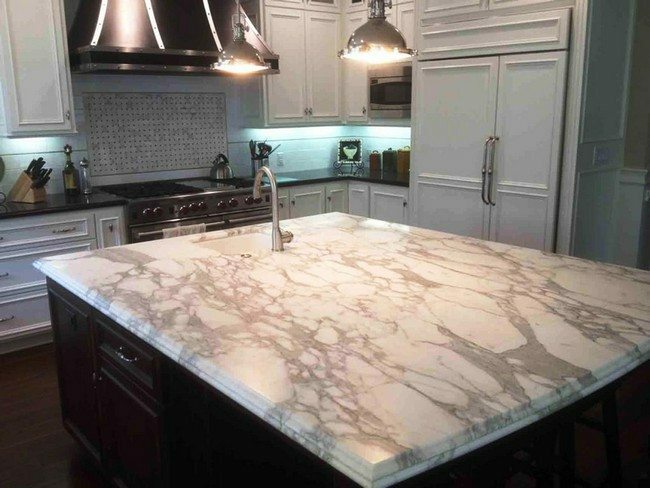 When it comes to countertops, do not shy away from experimenting. 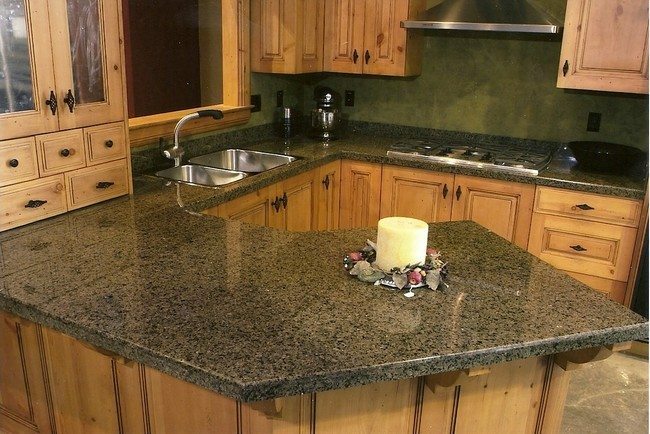 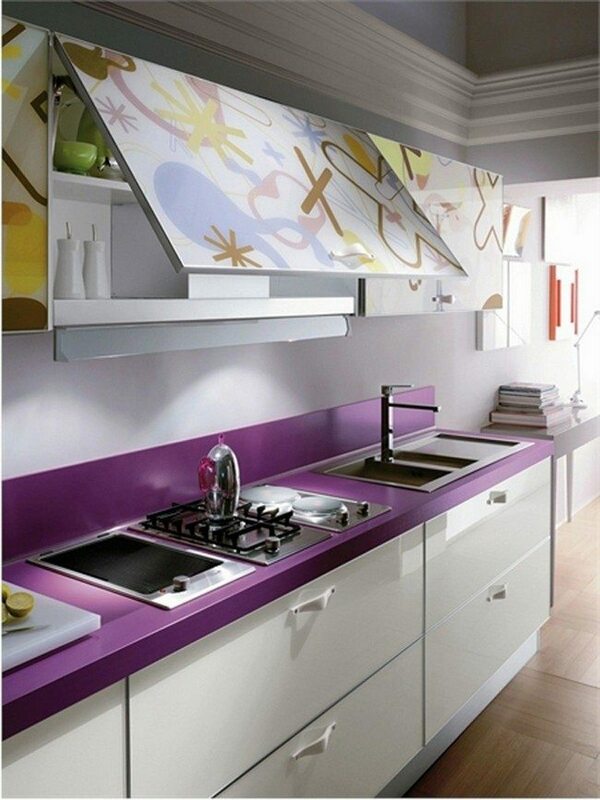 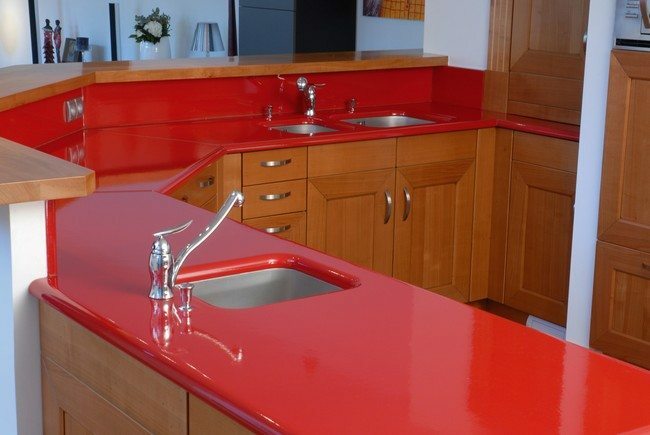 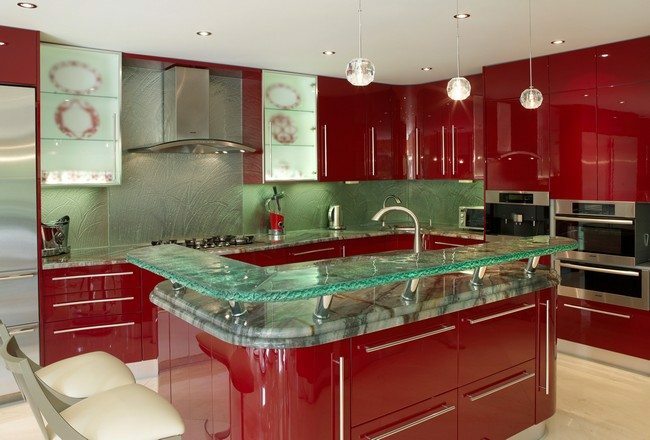 This kitchen countertop comes in an unusual color, purple. 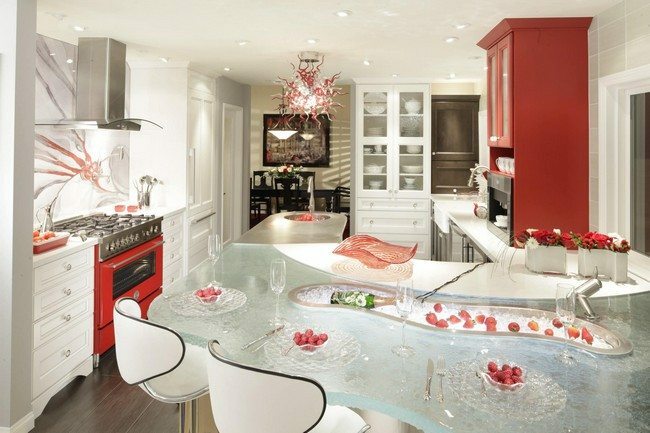 The bright color adds vigor and charm to this kitchen, in the most unlikely manner. 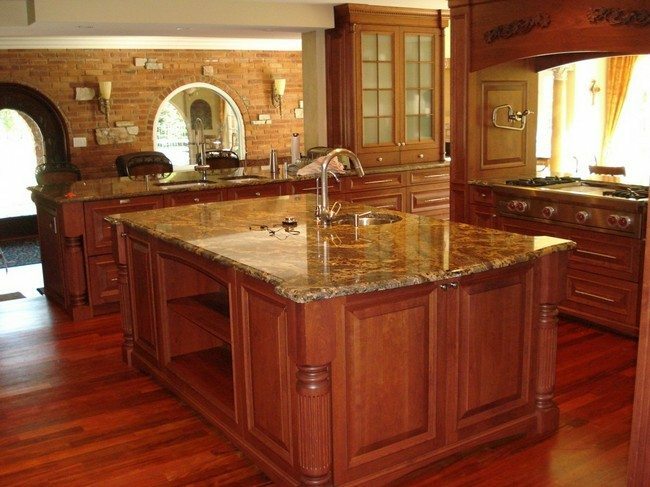 Sometimes, you can create elegance by adopting a simple design, as seen in this kitchen, where a wooden slab is placed above the island to create a simple wooden countertop. 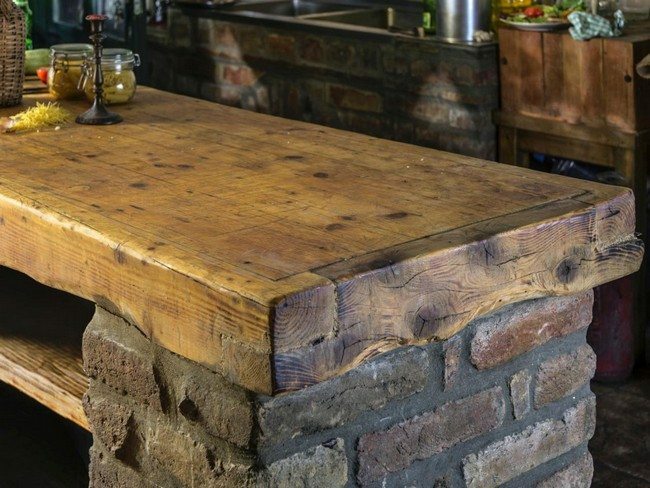 You can extend the countertop to create a bar or dining area, like in this kitchen, where the stone countertop has been fitted with a wooden extension to create a dining area. 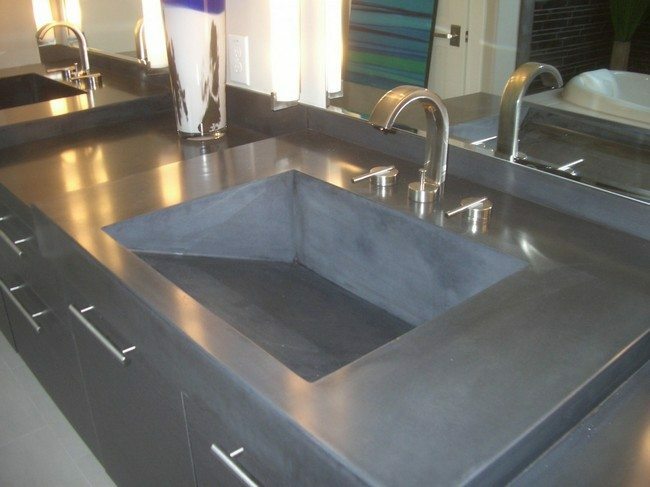 This contemporary kitchen makes use of a smooth, dark grey concrete countertop. 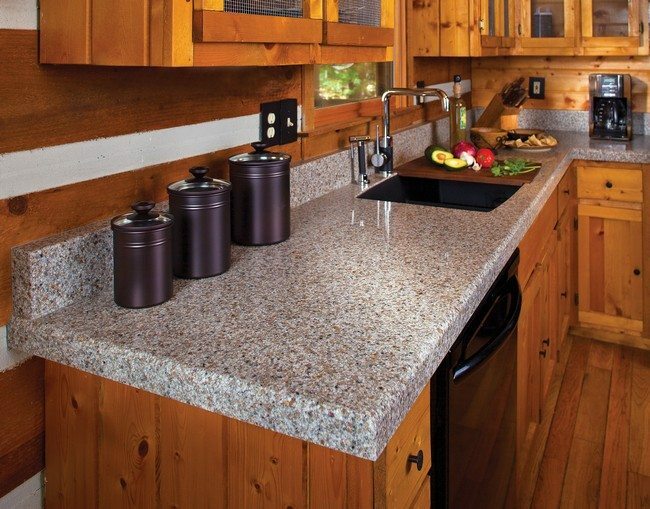 Concrete countertops are not only strong and durable, they can also be painted in other colors to match the décor of the kitchen. 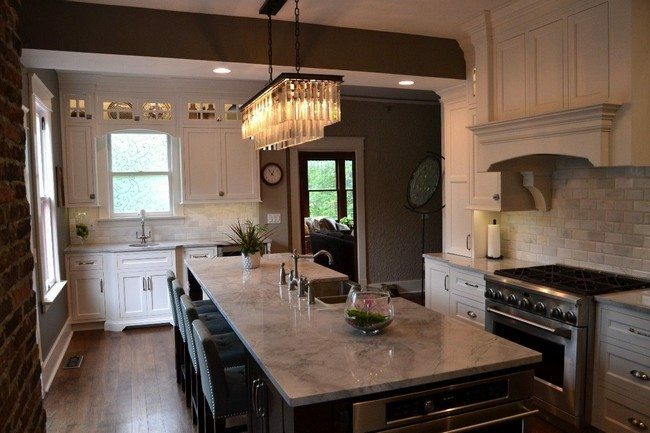 The quartz countertop in the above kitchen creates a delicate and graceful atmosphere in the kitchen above. 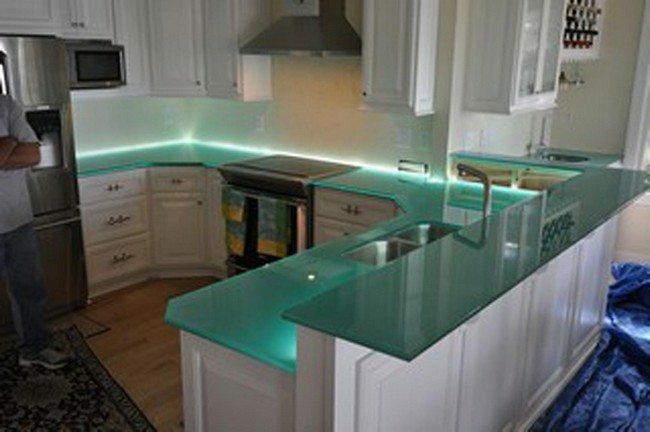 In this kitchen, an interactive countertop design has been adopted. 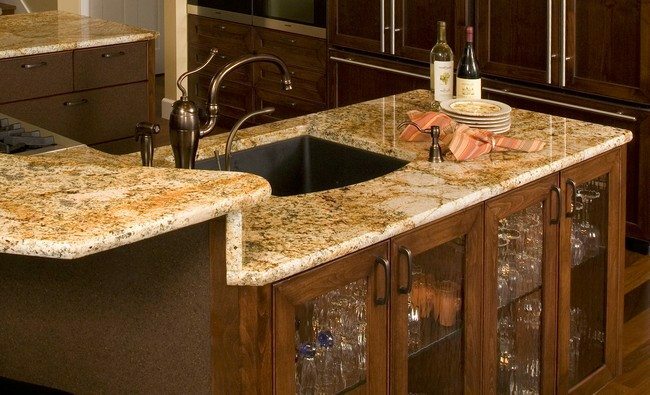 The countertop comes with an in-built screen and integrated sink.